Apple gave the world a preview of the Mac Pro earlier this year during WWDC 2013, and then it fully unveiled its new workhorse during a press conference back in October. The company wouldn’t commit to a firm release date at either event, however, which is obviously very uncharacteristic for Apple. The wait finally ended last week on Thursday, when Apple finally released its new Mac Pro in limited supply. Starting at $3,000, the new Mac Pro is not a consumer machine by any stretch of the imagination — but does all that cash really land business users a setup that performs significantly better than Apple’s consumer grade Mac computers? Macworld got its hands on a new Mac Pro last week, and on Friday the site published the results of an initial round of testing. The Mac Pro model the site used was not the base model by any means — instead, it bought a $6,799 machine with an 8-core 3.0GHz Xeon E5 processor, 32GB of RAM, 512GB of flash storage and dual AMD FirePro D700 graphics cards each with 6GB of dedicated video memory. It’s a beast. 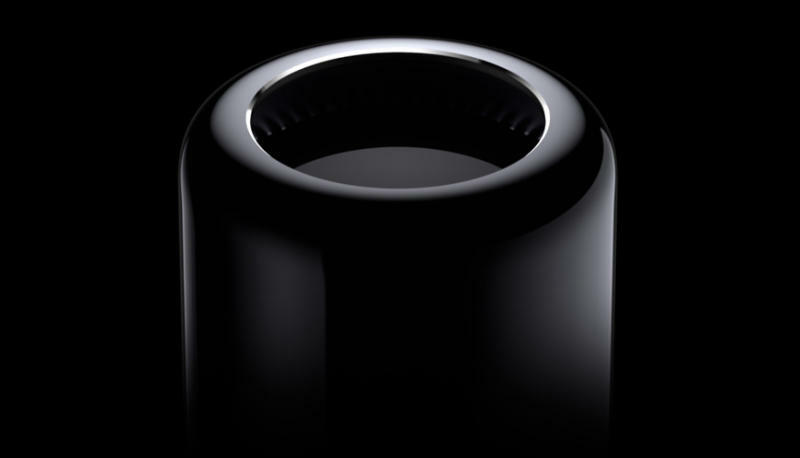 Compared to earlier Mac Pro models, Macworld found that the new system is a massive upgrade. For example, the new Mac Pro scored a 312 on the Speedmark 9 test compared to a high-end version of Apple’s previous-generation Mac Pro model, which scored a 191. Compared to other current-generation Mac computers, however, the Mac Pro isn’t as significant an upgrade as many would assume considering its specs — and considering how much Apple hyped its all new desktop when it was unveiled. The iMac Galbraith describes, by the way, costs $2,699 — or $4,100 less than the new Mac Pro in question. There are obviously benefits to the new Mac Pro beyond just speed, but those expecting massive performance benefits in the new Mac Pro over Apple’s more accessible Mac offerings will likely be a bit surprised.